With the extreme temperatures that often inundate the Peoria, Illinois area, it is important to have quality asphalt paving which is durable, safe, and smooth. 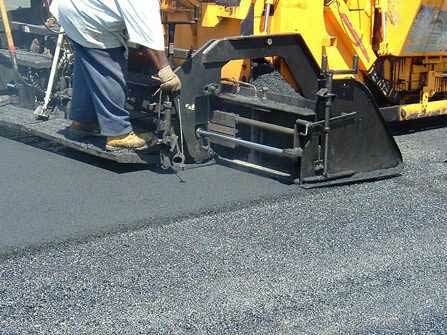 By contracting your asphalt needs with Hoerr’s, you will receive the best material available. Asphalt is the material of choice for nearly all of the paved roads in the United States, making it the most widely used and versatile materials, providing a durable and safe driving surface. When maintained correctly, asphalt can last 25 years or more, allowing for a cost-effective paving option. With low maintenance requirements and durability, asphalt paving is considered to be one of the “greenest” products available for your paving needs. Hoerr’s team members are quite experienced in tailoring to the unique needs of customers, offering a personalized approach to your home or business. No matter if your needs are residential or commercial, the technicians main goal is to work with you to design and create a durable and attractive asphalt surface. If you own or manage a property in the Peoria, Illinois area, allow Hoerr’s Blacktop & Sealcoating to cover all of your asphalt paving needs. The lasting aesthetic and functionality of a job well done will be quite rewarding. Call Hoerr’s toll free today at 309-222-2979, or contact us here and one of our qualified technicians will help you get started on making your asphalt dream a reality. We are proud to serve the Peoria, Bloomington, and Galesburg areas with the best quality asphalt paving and maintenance work available on the market.